I planted the garden this weekend! Pictures and info on what I planted to come. For today I thought I would tell you about the 6 most useful fruits and veggies I use on a regular basis. 1. Mire Poix Veggies – Carrots, Celery, Garlic, Onion – Okay I know this is actually four veggies, but I am going group them together as aromatics. They add flavor to dishes. All last for weeks when stored correctly and can be used in many ways for every meal of the day. Store carrots and celery in the crisper drawer of the refrigerator loosely wrapped in plastic wrap or light cotton bags. Store onions and garlic in a bowl on the counter, out of direct sunlight. 2. Bananas – Love them on their own for a snack, in a smoothie for breakfast or dessert. I can fry them with butter and brown sugar for a delicious ice cream topping. Add to pancakes, muffins, or popsicles. Or make non dairy, gluten free, nut free, fat free everything except banana free ice cream. If your bananas are green stick them in a paper bag with an apple for a few hours or overnight. The gasses released by the apple will ripen the bananas! 3. Frozen Berries – Available all year. One of the healthiest foods available. Very high in antioxidants, vitamins and minerals. Use in breakfast smoothies, popsicles, muffins, oatmeal, yogurt, cereal, ice cream, plus its frozen so it takes months to go bad. Read about how I freeze berries. 4. Baby Spinach – Can be used for every meal. Really healthy. Throw a handful in a salad, or an omelet, stir fry, or on a sandwich. I even use it in some soups and pasta. A really fresh bag can last a week or better yet grow your own in a pot. 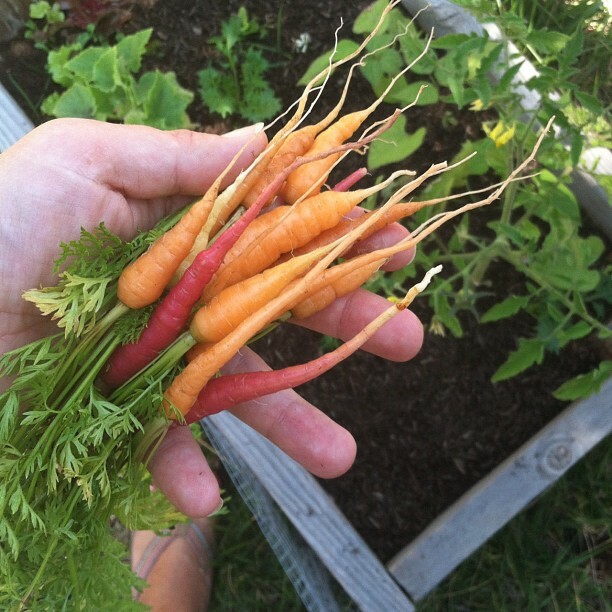 Its one of the easiest veggies to grow in the winter and spring. If I am not growing some I usually buy a container of triple washed organic spinach. It gets eaten much faster if we don’t have to wash and dry it. Plus with the baby I just don’t have time for that anymore. 5. Red or Gold Potatoes – Available all year round, cheap, nutritious, can be used in many dishes, omelets, baked potatoes, soup, french fries. You notice I didn’t say russet potatoes. They are too starchy for me and are pretty much only good for baking. 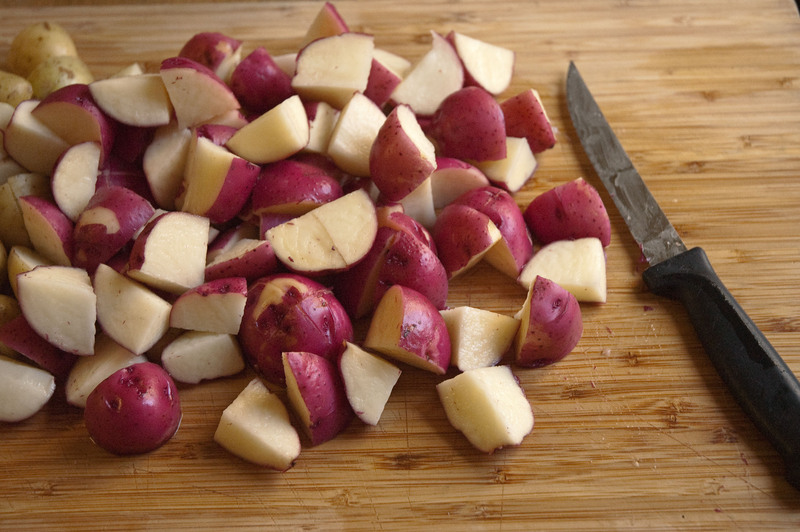 Red and gold potatoes are creamy and make incredible mashed potatoes and french fries. 6. Avocado – I used to hate avocado. Actually I thought I hated avocado, but really I had never tasted it. I just couldn’t get past how it looked. But as an adult I discovered how delicious avocado really is… when you find a perfectly ripe one. Finding a ripe avocado can seem impossible, but its really quite simple. Hold it in your hand and gently press into the side with your thumb. If its hard and you can’t push down at all, then it’s under ripe, which is fine if you won’t be using it for three days. If you want one right now then keep testing avocados until your finger presses gently into the flesh. Avoid the squishy ones. They are past their prime. I love eating avocado on my sandwiches in place of mayo. Its a much healthier fat, but still smooth and creamy. My favorite way is so simple. Just cut in half with a sprinkle of salt and pepper. I hope this inspired you to try something new! You could probably sustain life with your list and actually be satisfied at the same time. 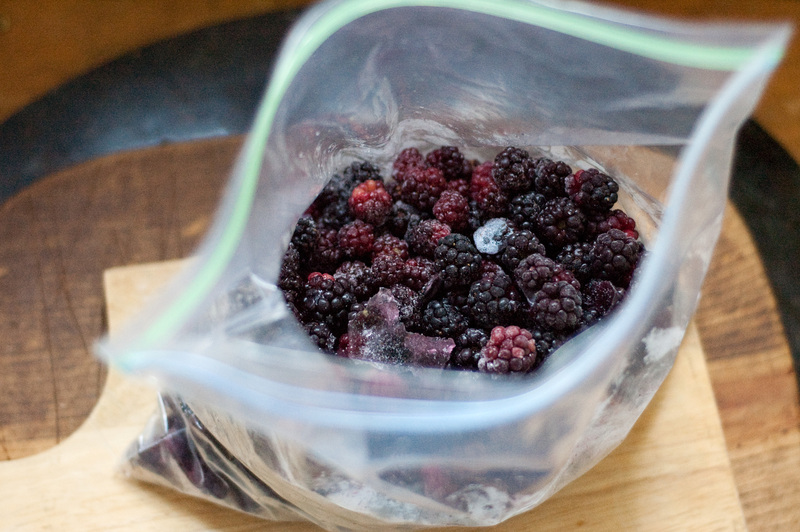 Were the frozen berries from your previous garden? Looked delicious in your photo. Happy gardening.